I say the prayers of banishment until my voice is a ravaged nubble, but I can no more banish her than a prisoner can rid a dungeon of its damp chill. She is with me still, her breath heavy in what was once my ear. Her utterings are indecipherable and still I know their secret meanings. I am practically fetal, yet somehow I remember snatches of old songs, nursery rhymes, prayers. The Hail Mary and Our Father, for instance, which I don’t recall uttering past the seventh grade. Their words remain. For a rosary I have only my own bony knuckles to count. 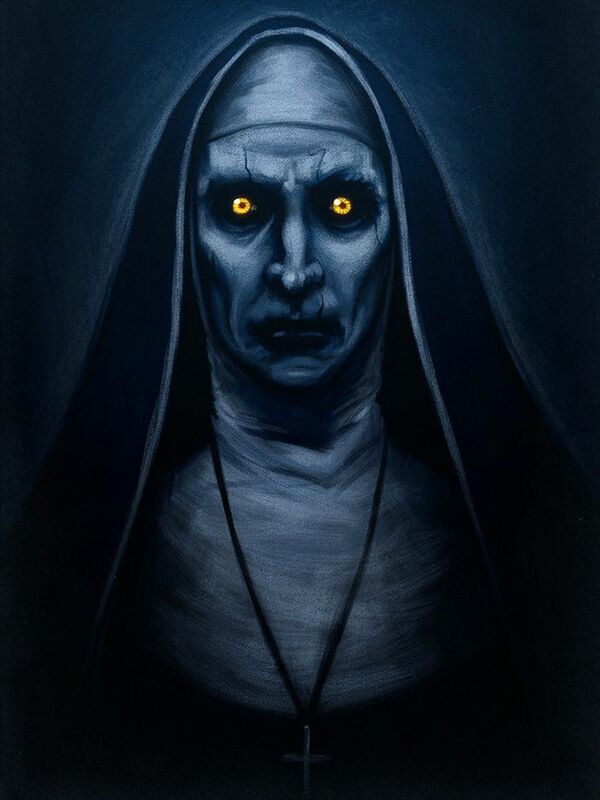 Mother Superior. The nickname circulated among the teachers due to her stern affect, along with the fact that the school grounds had once housed a nunnery. Finally, there was the matter of her size. She stood well over six feet. Of course she was overweight, though pointing that out only took away from the sheer immensity of her presence. She was vast and possessed all the cold power of a glacier. You saw her coming and your palms clammed up. Your heart sped, or at least mine did. My callow and stunted little heart. Sometimes she lies against me heavy and fetid as a bear in hibernation. I can hardly breathe (not that I breathe any longer, not in the way of the living), and when I do I’m overwhelmed with such a stench as to induce nausea. If I still ate food I might vomit. Other times I'm as a small child in a great hall, and though the hall is shrouded in darkness, her shadow hangs over me darker still. It presses down with the weight of an expired star. If days or years existed for me any longer I’d have spent a few centuries at least pinned to this one lightless and inescapable place. To think that I once imagined myself in the running for the position of headmistress. I memorized all the girls’ names -- over two hundred! -- and would practice little play dialogues in my head. I’d call the Sarahs and Madisons and Rileys into my imaginary office and discuss matters frankly, with an air firm yet caring. When Mother Superior arrived that first week, those silly fantasies evaporated like dew on morning grass. It was clear to everyone that she had come to stay. Even now the guttural murmuring in my ear occasionally comes together to form something like human words. From time to time I can even make out snatches of phrases once familiar. They bring me back to things she used to say, before all of this. She had such a way with words; she could make you into a queen or the lowest peasant. You’re no wallflower, she’d said the first time she kissed me. You’re a carnivorous plant. I can smell it on you. This was in her office, the old-fashioned wooden blinds on the windows shut to prying eyes. I recall so little of my body now, yet I remember the way that felt. I recall her tongue, wet and cold in my mouth. Reptilian. Still, it set a fire in me. She was huge and terrifying. And absolutely beautiful. Thoughts here repeat endlessly on a loop, each time around becoming infinitesimally more degraded. It is as if the needle on…one of those devices that used to play music is wearing a groove into the thought, dulling it slightly more each time it's played. The memories used to be so vivid, so bright. Now they are like out of focus snapshots, or photos damaged in a flood. Some have been diminished to charcoal sketches. The day I told her I couldn’t do it anymore we were on a picnic. She’d driven, taking us along the narrow coastal roads. It was one of the warmer seasons. The names of months escape me now. They’ve faded like just about everything else. There was tall beach grass and the smell of something I can no longer name in the air. An odor of the water. A bottle of wine. Some sort of expensive food. She was angry after I’d said my piece. She’d bought the food as a special treat. I remember that it was soft and pungent. I ate just a nibble. Her face was flushed. What was the name of the color? The same color as the wine. As blood. She drank too much of the wine. Drank until the bottle was empty. Her hand on my arm was so tight I remember thinking it would leave a...mark. A mark the color of the dark car. The sky was getting darker then, too. The clouds were nearly the color of the car. Nearly the color of the mark I feared she’d leave on my arm. It started to rain. The deepest sense in this place -- if it can be called a “place” at all -- is that of motionlessness. There is no ticking clock, no changing light glimpsed through a window. There is no shuffling of feet. No heartbeat. No nod, no smile. No breeze. The last real sequence of motion I knew began with that dark car racing down a road in what had suddenly become night. I moved, too. First my mouth did. I tried reasoning, then imploring. Next I moved my arms to reach for the wheel. There was sound and light and the smell of something chemical I once knew the name of. There was everything all at once. After a while there was nothing. Huddled in the dark, I search for words to describe the state I’m in. So many of my words are gone now. Huddled in the dark, I say the prayers of banishment that remain improbably with me. I say them again and again until my voice is a...small, worn thing. 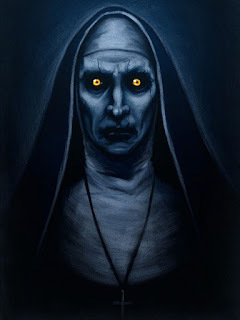 But Mother Superior has come to stay. B. D. Keefe’s work has appeared on Flash Fiction Offensive, along with HelloHorror, Massacre Magazine, and a number of anthologies.